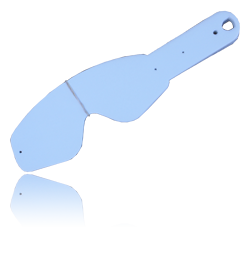 All of our tear-offs are made to match OEM tear-offs in shape. They are made with a 2 mil vinyl to reduce distortion and this allows several tear-offs to be stacked on top of each other while retaining clear vision. All tear-offs come in packs of 20 or 50.